SFU Streetfest was the first joint event ever that was held by SFU and UniverCity on September 14, 12.00 PM - 7.30PM. With the new semester kicking in, the timing is great to bring everyone who’s on the mountain top together in one festive event. The festival features SFU groups and clubs, live music and performances, food vendors, and various business vendors. U-bicycle had a chance to open a booth in this festival and introduce our popular alternative transportation mode to the community. In our last blog post, we mentioned that we are experimenting on our new product: e-scooter. We brought two e-scooters on top of our regular bike and e-bike to the mass’ reactions. 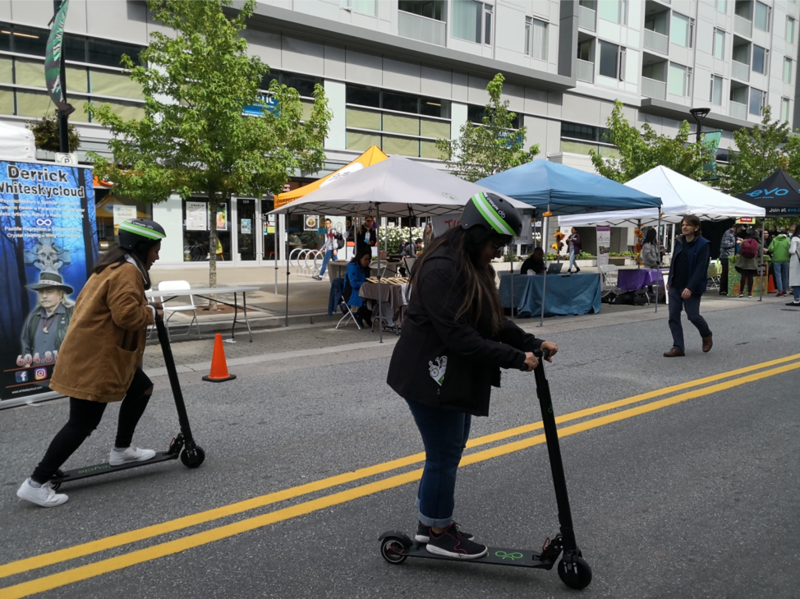 To our surprise, the e-scooters attracted a lot of people to come to our booth and try them out. Not only to SFU students, the e-scooters also attracted people from the UniverCity area, and even kids who passed our booth. The most asked questions were: when are we launching the e-scooters at SFU? and how much is it to ride one? Our e-scooter was that popular and fun that some students even wanted to purchase them on the spot!